Recently completing a successful appointment as Chief Economist for Bank of America Merrill Lynch Australia, Saul significantly raised the profile of the bank since joining in 2011. 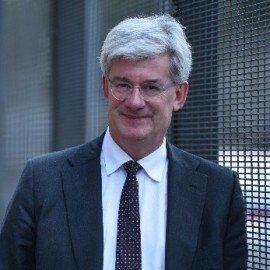 His previous roles include; Chief Economist at McIntosh Securities, Chief Economist (International) at National Mutual Funds Management, and as Chief Economist at the Australia & New Zealand Banking Group (ANZ). An impressive list of qualifications, achievements and presentation testimonials show the real depth and richness of Saul’s experience. Saul’s easily digestible and down to earth insights mean he presents a well-researched and clear economic picture on a range of highly charged and relevant topics to audiences, corporations and ‘mere mortals’ across the globe.